Okay all of you Civil War CDV experts out there. I need some help on this one. 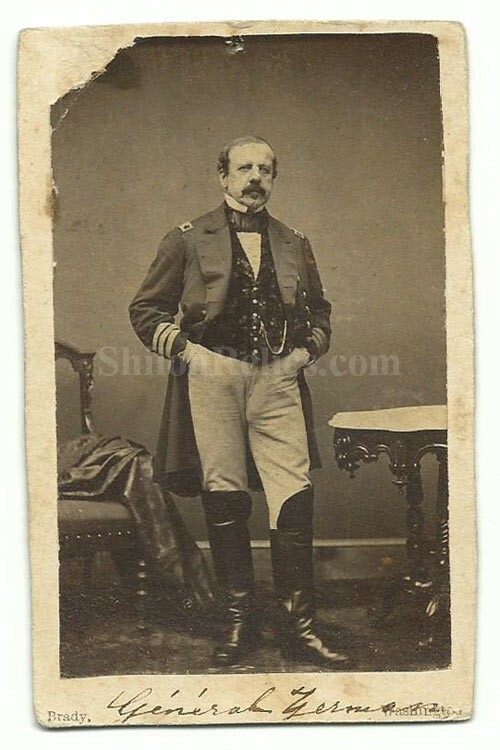 This CDV image has the photographer Mark of the famous Washington DC studio of Matthew Brady along the bottom. It also has the ink inscription that appears to read "General Zerman". The image shows a very well-dressed man in uniform wearing his knee high boots. His double-breasted officer's coat has 3 large stripes on the bottom of the sleeves and the shoulder insignia on top. 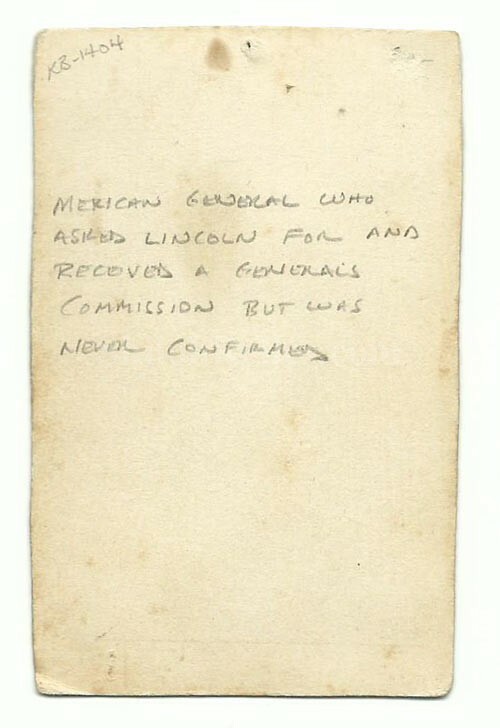 On the back of the image it has a modern pencil inscription that reads "Mexican General who asked Lincoln for and received a generals commission, but was never confirmed." If you guys know who he is I would appreciate some implement or if you would rather just buy it that's fine as well.